Since April this year the Harrier has been absent in order to be stripped down and repainted to ensure its continued preservation. It returned to Swanwick last weekend, resuming its place as the RAF(U) Swanwick Gate Guardian, only a few weeks after its 45th birthday. This is a term that has become indoctrinated in our society – even by those outside of the aviation industry. Time at Bletchley, whether as a resident apprentice or a course attendee, is considered to be a formative time in an engineer’s life. NATS College of Telecommunications Engineering not only trained apprentices, but also provided continuing professional development for existing staff and other companies or countries wishing to take advantage of the comprehensive technical facilities. A new NATS exhibition space in the National Museum of Computing will open in April 2015. 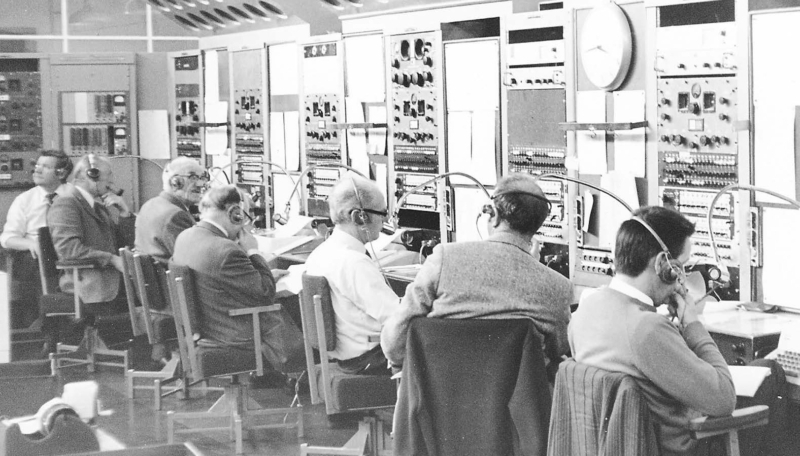 Take a trip down memory lane and read all about the colourful history of Prestwick Control Centre with this amazing timeline, which details the most significant milestones from 1939 to the present day, featuring some mesmerising photographs. The first space shuttle, Enterprise, never made it to space, but it did make it to Stansted Airport. This week the United States celebrated Independence Day, so it seemed an appropriate time for our US Business Development Manager to share his thoughts on independence. ANSP independence. We’ve been delving through the archives and uncovered some great old photographs of air traffic control at Heathrow in the 1940s and 50s. We thought you might like to see them.